Happy Friday’s Eve Lovelies! The week is in full swing and so I will keep today’s outfit post brief. Yesterday it was cloudy, rainy, and gloomy pretty much all day. While I absolutely love this weather, I also can’t help but feel a need to bust out some brights to add some sunshine to an otherwise grey day. Knowing that this weather was going to continue today, I prepared an outfit to combat the rainy day blues. 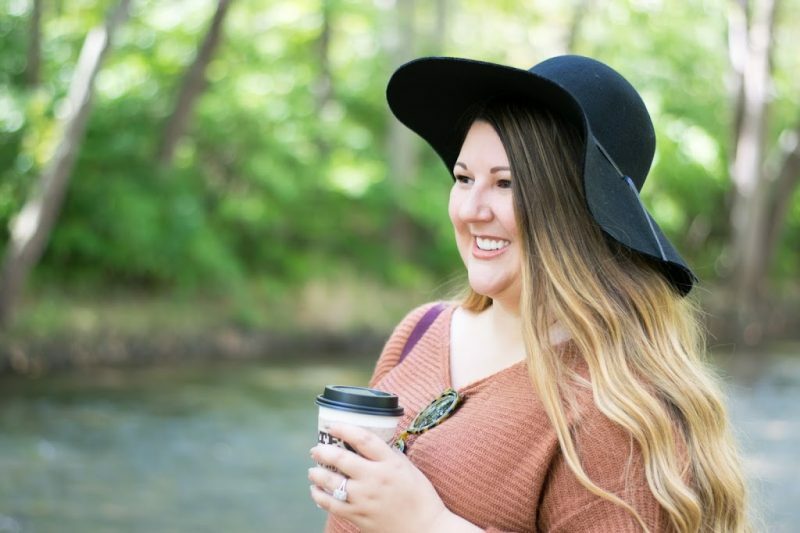 Additionally, I think this is a great opportunity to show you how I incorporate my bright colored clothing and jewelry into my fall outfits, which can tend to get a little monotonous with all the neutrals I gravitate to this time of year. Adding a bright colored piece or two is an easy way to freshen up a look and bring some lightness as the day light start to creep away. Today I am wearing a bright yellow cable knit sweater over my favorite polka dot top (also seen here). I threw my herringbone vest on for an extra layer in the cold. I even found these amazing herringbone tweed and patent leather flats while I was cleaning out my closet this week (don’t you just love when that happens?? ), which I thought were a perfect pairing with this vest. Since the yellow of this sweater is quite bright I wanted to pair it primarily with black and white, that way the sweater becomes the focus of the outfit. Keeping the prints small, in herringbone and tiny polka dots also keeps the outfit from becoming overwhelming with the mix of prints and bright yellow. Lastly, I accessorized with my amazing J.Crew inspired techni-colored floral statement necklace I was lucky enough to find on super sale from Groopdealz at the beginning of the fall. It is a perfect splash of autumn brights to complement this outfit. Just for fun I threw on a bright pink lipstick to mix it up from all of the dark lips I have been drawn too lately. A finishing whimsical touch to this outfit that I think pulls it all together (minus my wind blown bun which is taking on a life of its own, eek!). Do you incorporate your brights into your fall outfits?